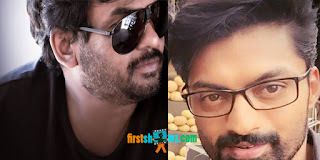 Nandamuri Kalyanram's forthcoming film in the direction on Puri Jagannadh has been commenced recently in Hyderabad and the shooting is taking place at rapid pace. Meanwhile, the new look of Nandamuri Kalyan Ram is going viral soon after Puri has released it in Social Media. The actor looks stylish with new attire sporting glassed and a beared. This is raising expections once again among the fans and the director has simply proven again. This untitled movie will be producing alone by Nandamuri Kalyan Ram under his home production house NTR Arts. Aditi Arya will be seen as love interest for Kalyanram in the movie. More details of the film will be unveiled shortly.